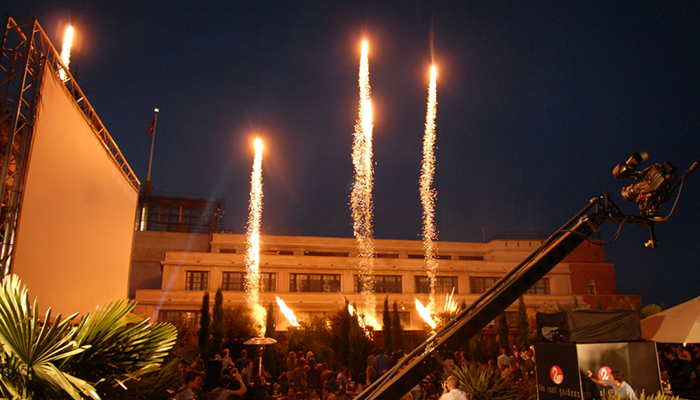 Kensington High Street is home to some of London’s most well-kept and beautiful roof gardens. 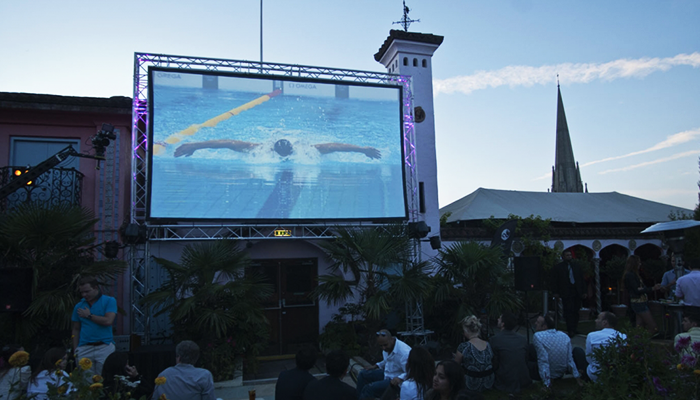 Making full use of this unique and atmospheric space is the Rooftop Cinema Club, which organises film screenings within the gardens themselves. 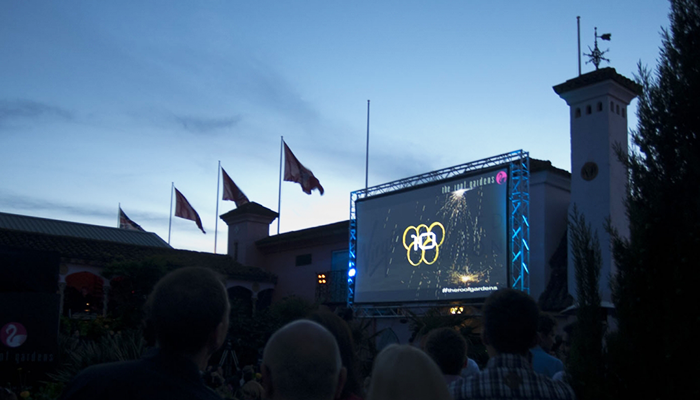 In 2012, the club offered guests a once-in-a-lifetime chance to watch the London Olympics Closing Ceremony live, overlooking the skyline of London from the most incredible vantage point. EHP were contracted to construct the framework for the projector and screen to be fixed to. To provide a ground-support truss structure and cantilever fixing method for the projector to be erected. Whilst erecting a screen this size is a straight-forward task, doing so on the roof of a six-floor building, 100ft up, is a slightly different matter. The effects of wind are far greater at this height, meaning that rigid, supported rigging is essential. To allow for this, EHP designed the ground-support truss structure, along with the cantilever fixing method with utmost attention to detail, allowing safe construction of the projector screen kite. This allowed Event Projector to install their projector and macbook system with ease and efficiency. The client and their guests enjoyed a truly unforgettable experience, and very special evening.